Raw denim isn’t for everyone, but it just might be for you. For many, raw denim is the best jean—the best fit, the best look, and the best feel. 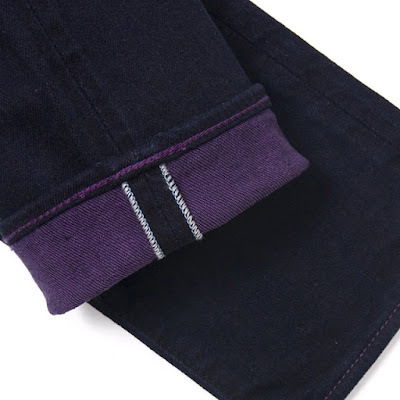 We are all familiar with the recognizable indigo textile made famous by Levi Strauss in the 1850s, these were hard wearing workman trousers now affectionately known as ‘jeans’. Today I’m talking about the denim artisan culture that has made a huge comeback in recent years, not so big is South Africa, but fast gaining momentum. Denim used to be made raw and unwashed in its early days, and now we are seeing manufactures going back to their roots and producing denim in its purest form. 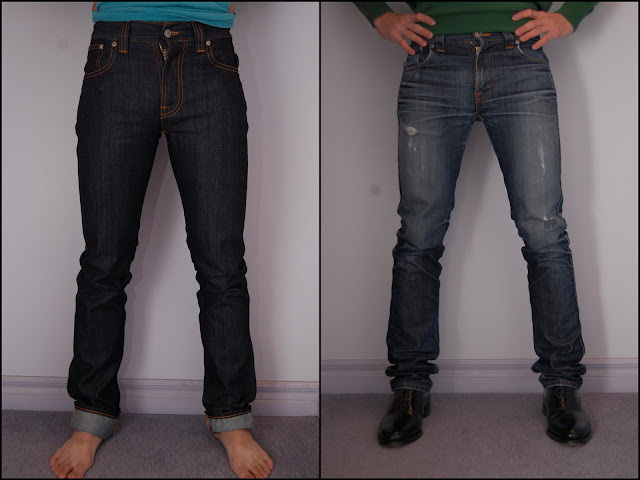 If you are thinking of getting into raw denims here are a few pointers to start your denim journey. 1. These artisan jeans are cut and made up without the processing. 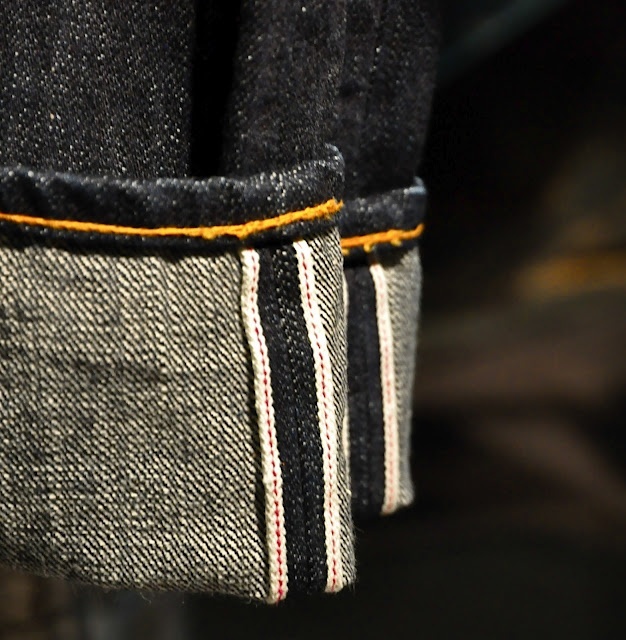 Raw denim means the cotton of the jeans has been dyed, but left unwashed. 2. If you’re willing to make the time investment, you’ll get a great fitting (and looking!) 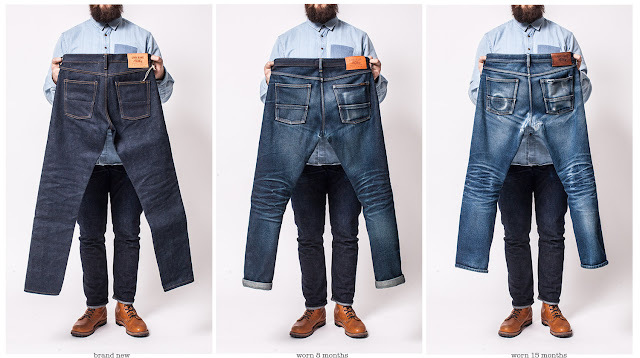 pair of pants. And, if you’re willing to make the financial investment, you may actually end up saving a bit over time. Though raw denim can be a little pricey up front, it can be worn day in and day out—from casual wear to formal occasions—with little rotation. 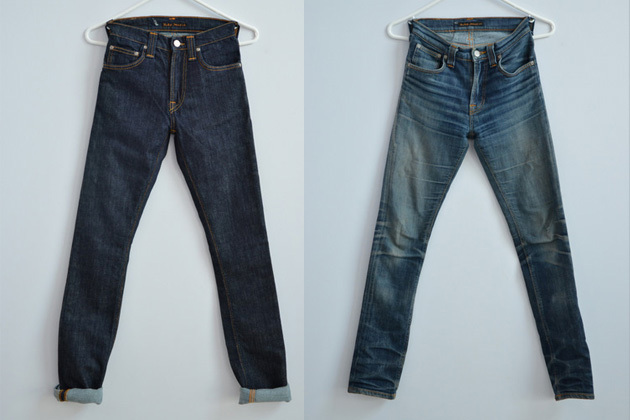 In fact, there’s a good chance that you’ll end up loving your raw denim so much, it will become your go-to pair of jeans. 3. 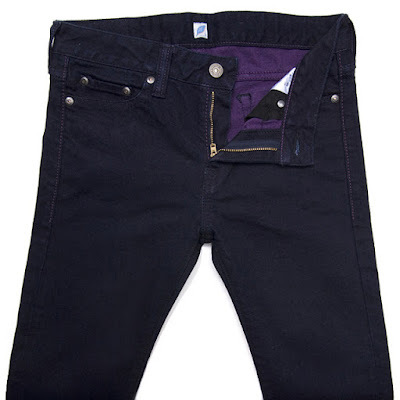 The beauty of raw denims is that through the natural wear and tear process, they are molded according to your shape, and the appeal of having your jeans gradually fade on their own makes the process that much more worth it. 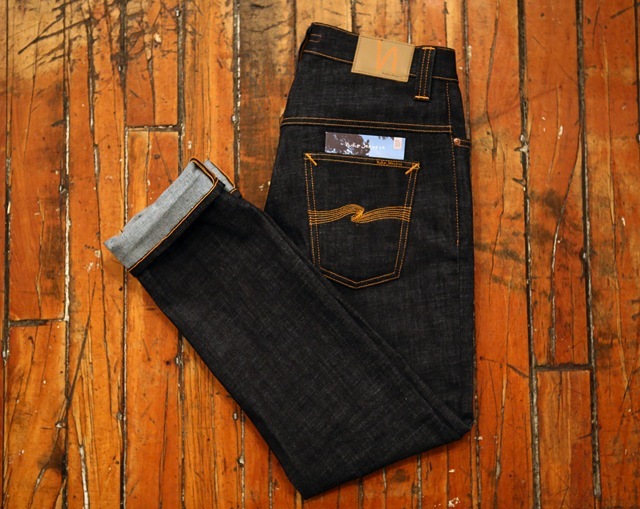 Raw denim, even when it has a bit of stretch, starts out on the uncomfortable side until it’s broken in. 1. Fill your bathtub with 5-7cm of hot, but not boiling water. Bear in mind that the hotter the water, the more indigo will be lost. 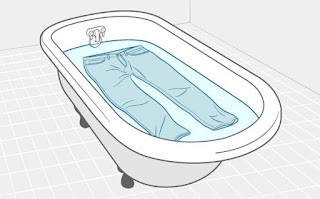 To optimize the post-soak fit you can sit in the bathtub wearing your denim. 2. 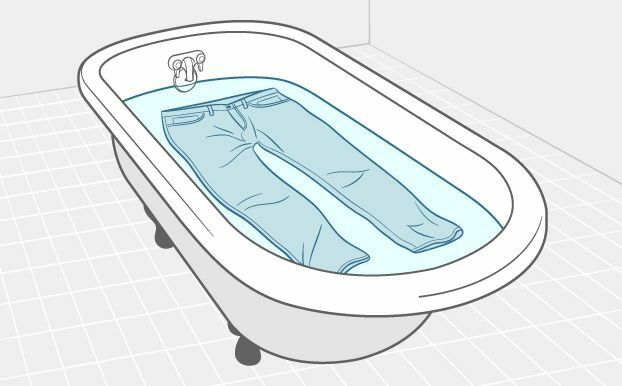 Flip your raw denim inside out and lay them flat in the tub for 1-2 hours, with something heavy-ish resting on top of them to keep them submerged. Do not try to shake or move your denim too much, otherwise you will risk losing more indigo. 3. Remove your jeans from the water and hang them out to dry upside down. This also helps reduce the shrinkage. 5. 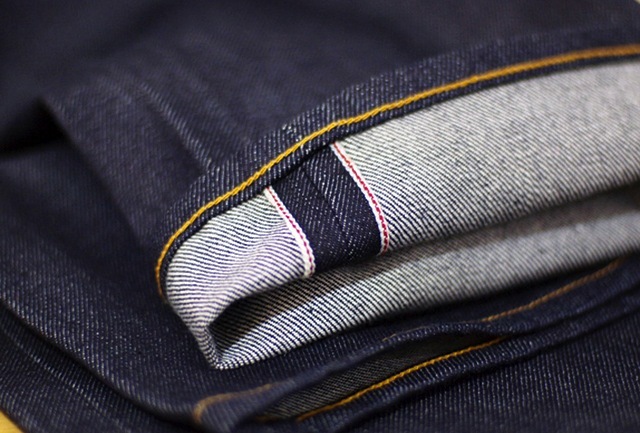 Time is important with raw denim, which means you shouldn’t wash them for at least six months. 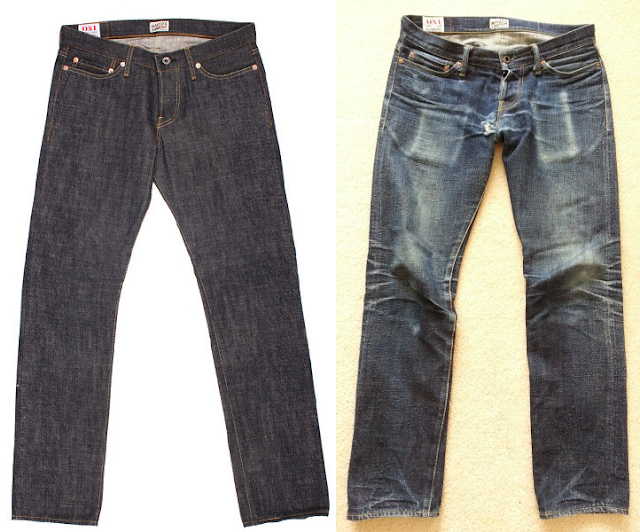 This is the toughest thing people find with raw denim for most is wearing them a lot and washing them very little. The reality though is that the more denim is worn (some denim heads even sleep in them), the faster you will create those personalized, vivid fades. whereas washing prematurely will not give you enough time to achieve those strong, contrasting creases. 6. 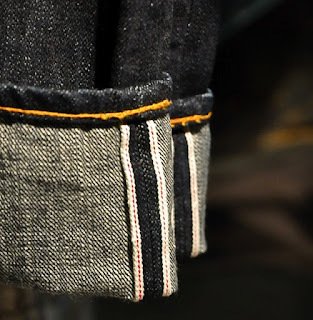 As you'll be wearing your raw denim on a daily basis and not washing them for six months, you will undoubtedly run into minor hygiene problems. They won’t work up a stench, unless you’re really sweating in them for a good amount of time. And if you do, you can hang ’em outside for a day just to air out. I have heard of people placing there jeans into the freezer to kill any bacteria. 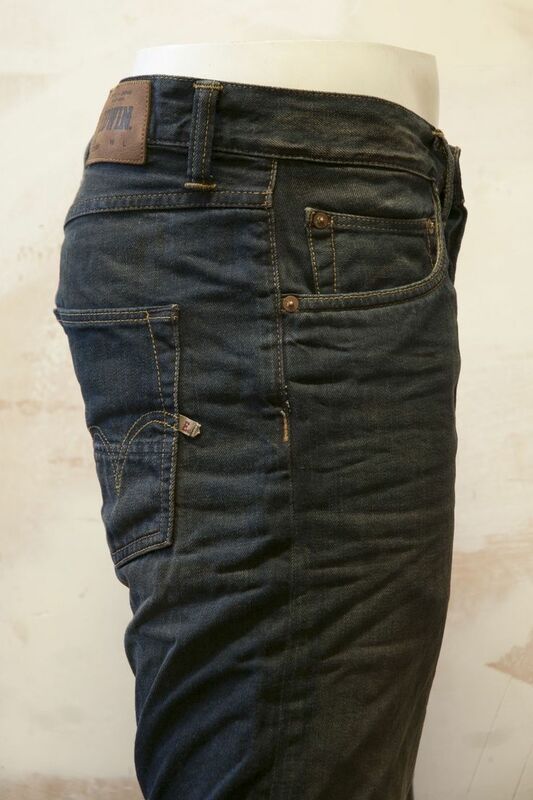 South Africa’s raw denim game is still in its early days, so most of my suggestions will be online store guides to great Raw denim jeans. Hoping to see more raws on the streets of Durban!